No doubt after a busy week of Thanksgiving travel, hosting and feasting you've earned a long sleep this weekend, but let's hope all that rich food hasn't given you weird dreams. 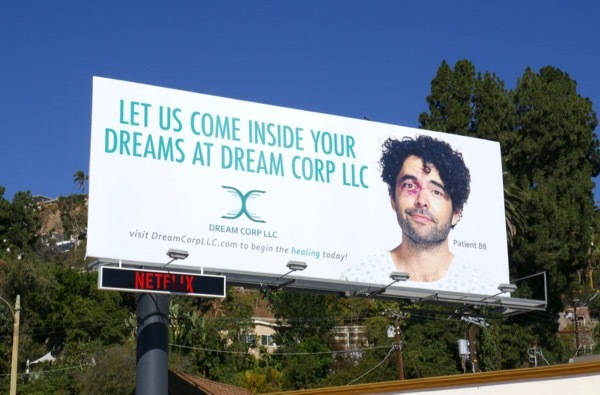 If you are suffering from odd dreams or night terrors, then maybe Dream Corp LLC will be able to help you. Jon Gries absent-minded 'Dr. Roberts' is back for a sophomore season of this absurd workplace comedy about helping desperate patients at his dream therapy facility. 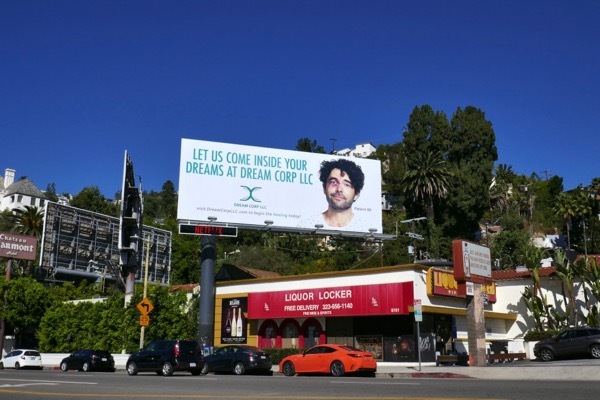 The season one billboard, with its awkwardly misplaced hyphen, was photographed on October 10, 2016, whilst the season two patient billboard was snapped in the same Sunset Strip ad location on October 15, 2018. Rest up this weekend and here's hoping you enjoy sweet dreams.